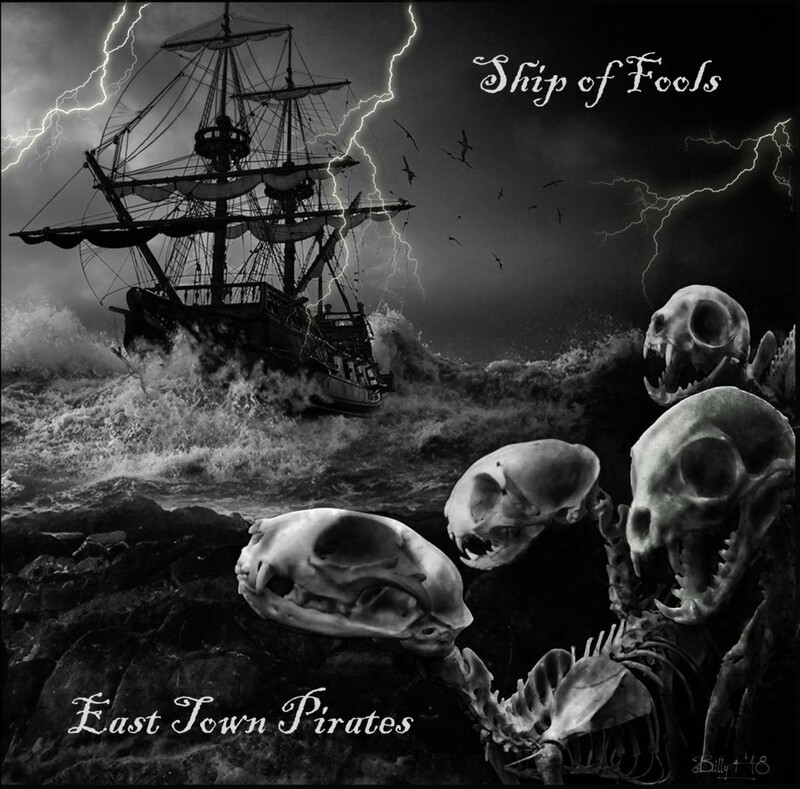 Since the release of the debut self titled album in 2012 and the follow up "Seven Seas Of Sin" in 2013, the East Town Pirates have gigged and toured hard. We have taken our blend of Voodoo Pirate Rock n Roll to venues throughout the UK, Ireland and France. ​The new album Ship Of Fools is now available. We have played festivals such as Undercover, Rebellion, Boomtown Fair, Bearded Theory, Rock n Blues Old School Weekender, Nice and Sleazy & Maui Waui. Check out some reviews in the "more" section of the menu. The Featherz, OnTrial UK, Bus Station Loonies, The Fuckwits, Rage DC, The Queers, WitchDoktors, Pussycat and the Dirty Johnsons, JD & The FDCs, Thy Last Drop, Curch Of Eon, The Marksmen, Superhooch, Lipshock, Underclass UK, Headstone Horrors, The Polyesters, Kickback Generation, New Generation Superstars, Healthy Junkies. We have merchandise for sale through our partner site Know Your Product, where we have the usual CDs, vinyl, T-shirts, hoodys, patches, badges and stickers.